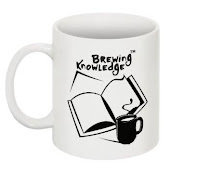 Brewing Knowledge: The best job in town! This job will change your life! We challenge young people and work to enhance their skills. You will contribute to helping build the fastest growing Award programme in the world. If you are below 30 it may help, as maybe you want this job as a stepping stone to bigger things in life; age is no bar, we promise this will be the best experience ever! You will be responsible for the key areas of: public relations, branding, marketing, communication and other out reach activities; Extending the Award; and Quality Assurance within India. This post will also actively participate in aspects of the Strengthening the Structure pathway, where this pathway is concerned with areas of Award management and leadership development. The Team will work closely with the Delhi based National Director and the National team as well as liaise with the London based Programme team to ensure coordination of activity, policy and strategy. Good communications skills and proficiency in computers, social media and web a prerequisites. Experienced, young at heart and freshers completing college may apply. We prefer people who have the youth in them, and promise more fun than working with the likes of Google, Facebook... call centres and the likes. The selected team members will be expected to join in May and work on our Youth Engaging Society (YES) campaign; you may please visit our website www.iayp.in to learn about the fun things we do. You will support the Communications Manager and help design materials, make tools for training and development, and get a chance to manage events too. Salary will be between Rs. 25,000/- to Rs. 40,000/- per month, depending on your competence and and the drive to challenge young people everywhere.